The sounds of early ‘90s Seattle have been conspicuously absent from the disco-rock revival we've been experiencing over the last couple of years, so who cares if Nine Black Alps are writing us a postcard? 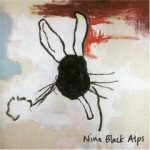 Nevermind the influences: Nine Black Alps are making some fun music. At least, that's the party line. And just in case you're not scouring reviews for hidden acrostics, yes, the first letter of each paragraph does spell the seminal grunge act whose long shadow is patently obvious on this group's blistering debut, Everything Is. But so what? Music critics pull the 'influences' card so often it's become a knee-jerk -- lack of originality = failing -- and sometimes when you hear a semi-familiar hook you're don't want to be reminded of the 2/3/4 groups who wrote the exact same thing 5/10/20 years ago. True, too, that the sounds of early ‘90s Seattle have been conspicuously absent from the disco-rock revival we've been experiencing over the last couple of years, so who cares if Nine Black Alps are writing us a postcard? From the same poem (called "The Couriers" if you're interested); tragically, I can't think of a better description of the NBA's sound. Because influence alone is fine, but mutton masquerading as lamb? That's just not cool. Instead, we get punk-rock ballads just rawer than Alkaline Trio, just tamer than the Pixies; guitar riffs; simple, repetitive melodies. Rock 'n' roll has its place, don't get me wrong; and NBA are set up better than most to take advantage of that. In my mind, I can't think of a better place than Manchester to spawn their particular brand of balls-to-the-wall raucousness. Together since 2003, the four-piece supported Weezer's tour in the UK last August. The similarity between the bands doesn't stop at the sound, seems – especially given Make Believe's willingness to sacrifice everything for a quick hook. Finally, Everything Is is produced by Rob Schnapf, who's work with Elliott Smith, Beck and the Vines, and given that, pretty clearly knows a knock-out melody when he hears one. Vicious guitars, exploding depression: these are NBA's familiar subjects, and powerful melody their comfortable, expressive tool. Except for two acoustic throwaways, "Behind Your Eyes" and "Intermission", Everything Is thrills with raw power. In fact, the album as a whole would have been a much tighter unit without the downtime; at best, could have been a sustained howl of vicious punk rock. The acoustic songs soften the edges, make the album more mainstream -- but that just reminds me of “Good Riddance”, not a good thing. All songs come from other songs, a la Paul Kelly, right? But in the first verse of the first song we get "too cynical to speak" -- I'm sorry, but I'm of the generation that can't hear that without thinking "Iron Lung", and vs. that there's no way your "Get Your Guns" stands a chance. Maybe that's a little unfair, but there are other moments here when the pastiche of influences is too stark not to be immediately noticeable. Sticking with the opening track, "Get Your Guns" has the same hard hooks as Foo Fighters, the same melodic wavering/shouting. "Not Everyone" -- well, I'll leave you to w-o-r-k o-u-t the clear influence there. Not every step on Everything Is is miscalculated, though, by any means. Aurally speaking, there's nothing wrong with a good melody, a nice hook, solid power chords. Better, the chorus when it comes in on "Headlights" reminds you of the melodies on Is This It in the best possible way: not Strokes-esque but with a Strokes-like grasp of what makes a melody pop out of the fabric of a song like a glinting jewel. The kind of melody you can listen to over and over, each time as unexpected, as glorious as the first. "Cosmopolitan", "Shot Down" and "Unsatisfied" all have monster choruses, real banging sing-along anthems. Hell, "Unsatisfied" even pulled opening-credits slot for episode 308 of The O.C. Altogether, my critic's instinct wins out in the end. Not as a knee-jerk, and not to take the fun out of listening to this music -- because there are hooks here you could go crazy about. The real problem is: why would you follow Nine Black Alps' career unless they are offering something new, exciting? I think there's a kernel here on Everything Is, a hint of the possibility of something vital; but we'll have to wait for the band to grow into their own skin to hear just where it takes them.